in which we work and live. Brad Teal Community Connect is a community benefit initiative established to provide support and inspire involvement with a cross section of local organisations across our multi office network. 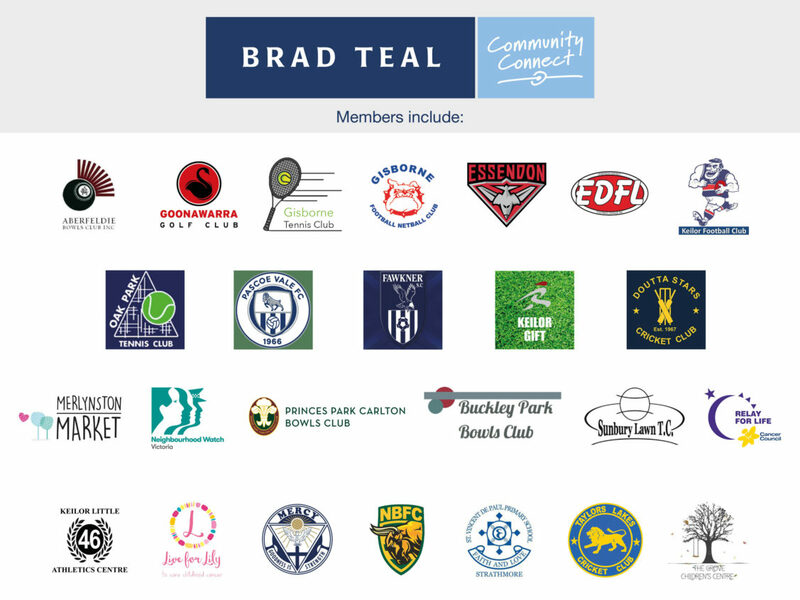 As an extremely generous supporter of many local, community and sporting organisations over the years, every Brad Teal office has a deep connection with the local community. These connections are ingrained in our company’s culture as we assist in supporting organisations that develop and sustain our community. Brad Teal Community Connect draws on a pool of annually allocated funding to give back to the communities in which we work and live. Speak to a Brad Teal representative at your local Brad Teal office to find out more!